Concealed plastic stud fastening waist. Plastic zip fly. 2 side swing pockets. One back hip pocket. 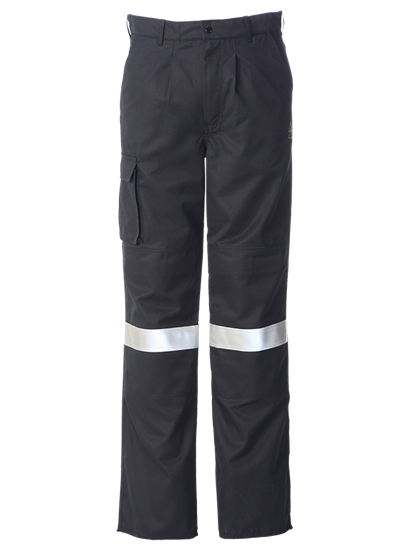 One thigh pocket with velcro fastening flap. Internal knee pad pockets. One band of FR reflective tape around legs.